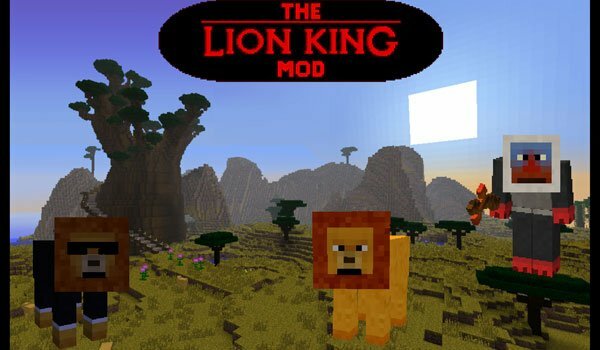 The Lion King is back to Minecraft with its new dimension filled with film characters. The Lion King 1.6.2 and 1.6.4 provides a new dimension that can only be accessed if you buy a pass to find a lion inside a house. Inside the house will be the portal to access it. When arrival to the new dimension is important that we seize the quest book. We’ll have several things to do in it, starting with several missions, explore the new biomes full of new flowers, minerals and animals. You also will find Rafiki under its big tree and the essential Timon and Pumbaa. How to install The Lion King Mod for Minecraft 1.6.2 and 1.6.4? Follow the instructions in the “readme” file inside the mod downloaded. The Lion King awaits you in Minecraft!